Ginger High is no ordinary school. It is a school for students with special powers. Many years ago people came to Earth from the Kingdom of Animist, a parallel universe. Two long time friends, Matthias and Amanta, attended the school and then returned home to Animist. The school has had many unexplained deaths. Daisy Fisher attends the school after her old school burns down. Matthias and Amanta are called back to the school to help solve the mysteries. What are powers? And what is with this crazy school? Welcome to Ginger High. Melissa Burmester is 14 years old and is presently living with her parents and twin brother in East Moriches, NY. 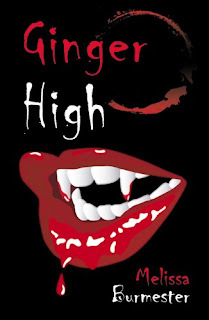 She has been writing about vampires and the supernatural since she was 12 years old, although Ginger High is her first novel. She attends West Hampton Beach High School, and plans to be a writer and teacher. 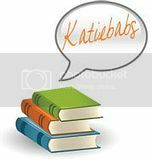 Thanks to author Melissa Burmester I am able to give away 2 copies of Ginger High. In order to enter please fill out the form below with all the neccessary answers. Extra Entry - Leave a comment below! In the event that you win your address will only be forwarded to the author for prize distribution. The author, or myself, will not distribute it for any other purpose. If you win, and you are under the age of 18, please have a parent or guardian email me for permissions to have the prize sent to you. Deadline November 6, 2009 @ 11:59 PM Est. I loved your review of this book! And the cover is hilarious! Is it open to international readers? Ahh sorry about that folks, forgot to put a deadline and shipping requirements! Unfortunetly the author didn't let me know if it would be ok for international, so I'm assuming US only. If she lets me know otherwise I will fix it and contact those of you who were interested! Thanks for the giveaway. The book sounds great and I love the cover. Wow, the author is only 14? I would really love to read this!